The one who lets God be the Owner He is will be empowered and possessed of the Spirit of God for the will of God. Smith Wigglesworth said that to be filled with the Spirit is one level but to be possessed by the Spirit was something quite beyond. 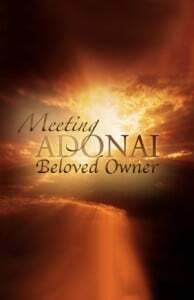 Adonai will take over the one who will surrender to the ultimate place of being owned. To serve. To follow. To obey. These are noble pursuits, but being owned is the position that brings all the power of heaven by the Holy Spirit upon a human life.